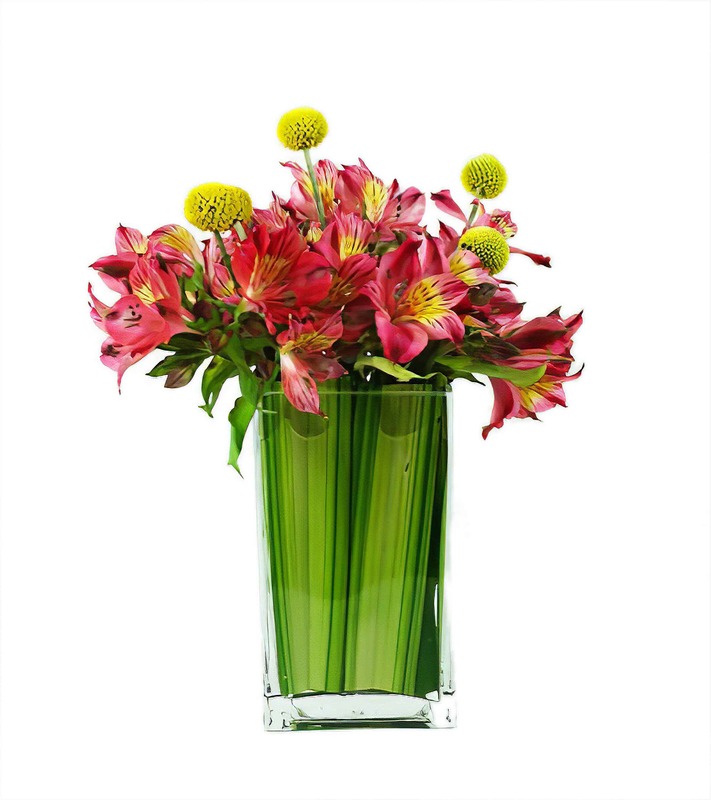 This lovely design of Alstroemeria can come in an array of colors! It's neatly accented with craspedia and striped flax leaves for a truly one-of-a-kind floral arrangement that will brighten anyone's day! Approx. 8" in height and 4" in width.